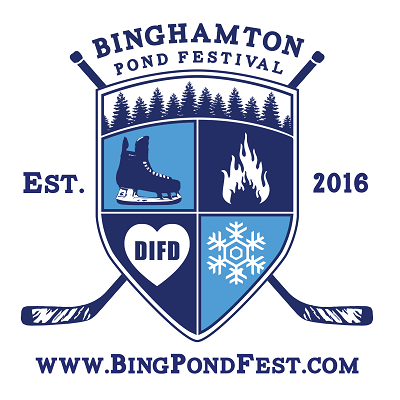 The Binghamton Pond Festival was created simply to provide a fun family event for our community to enjoy during the winter time, and has spurred a month long series of events in the area. The Binghamton area has a very strong hockey community and this event celebrates the sport locally and offers just about anyone an excuse to come out during winter to have some fun. As of 2018 we are one of the few outdoor hockey events that utilize mechanical refrigeration to manage weather concerns related to outdoor hockey. This change has allowed us to provide our players with great ice in temps exceeding 50 degrees and full sun on our 220'x110' ice sheet. To our knowledge, this is the largest refrigerated outdoor ice sheet in North America. Spectators for our hockey events are always welcome, as are all park guests and anyone else that wants to come and enjoy the weekend with us. So bring a camp chair, your four legged friend on a leash, or some friends and come enjoy the fun! 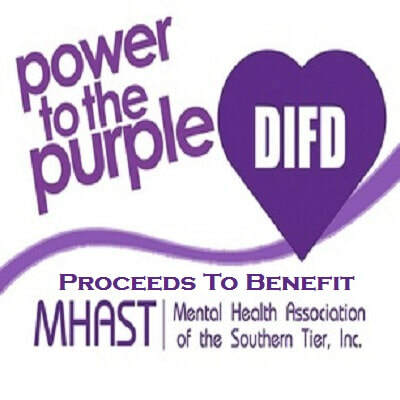 We donate proceeds from our events to other local nonprofit organizations that provide youth support, education, and sport programs, but primarily to the Mental Health Association of the Southern Tier (MHAST) and their Do It For Daron (DIFD) initiatives for youth mental health awareness and suicide prevention. ​Thanks to everyone involved, and we hope to see you all there! On November 13, 2010, 14-year-old Daron Richardson died by suicide and from this tragedy came a movement to transform youth mental health. Spearheaded by Daron’s parents Luke and Stephanie Richardson, who decided to transform their very private pain into a public call-to-action, a decision was made to support young people who suffer in silence from the pain and stigma of mental illness. Supported by the energy and efforts of dozens of Daron’s close friends and classmates, a grassroots movement was formed with the mission of creating awareness, inspiring conversations, and transforming youth mental health. 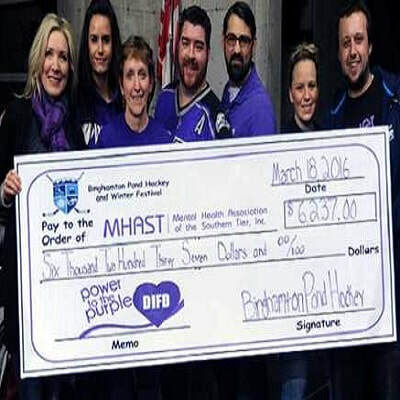 Do It For Daron (DIFD) encourages young people to talk openly about mental illness and to ask for help when needed. ​DIFD provides young people, their parents, teachers, coaches and other adult role models with the resources, outlets and, most importantly, courage to overcome the shame and fear of discussing mental illness. 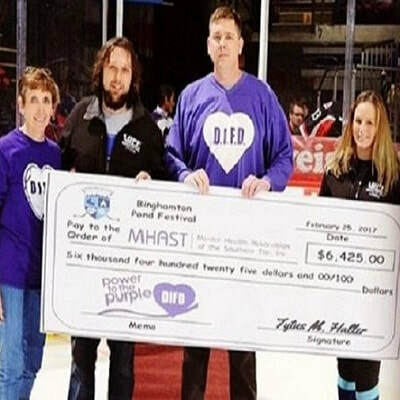 The purple DIFD heart, a creation inspired by Daron’s favourite colour, has become the youth-driven symbol of this movement. It is a visual reminder that only love and awareness, not hiding in the shadows, can combat youth mental illness.